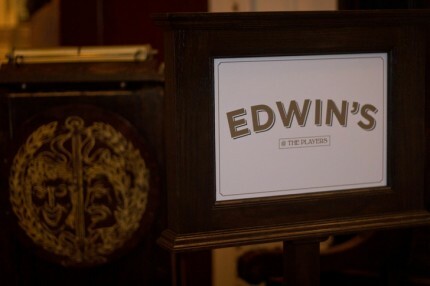 Founded in 1888 by actor Edwin Booth and colleagues like Mark Twain, The Players is New York City’s only social club for theatre, television, film, music, and publishing professionals and fans of the arts. Housed in the Booth mansion, a landmark Greek Revival townhouse on Gramercy Park, The Players’ past presidents include Jose Ferrer, Lynn Redgrave, and Timothy Hutton. The Players celebrated famed portrait artist Raymond Kinstler at one of its legendary Pipe Nights last week. 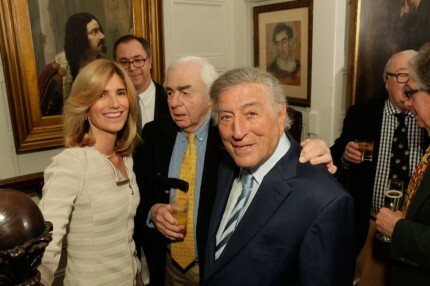 With guests like Tony Bennett and Tom Wolfe it was an “only in New York” night we won’t soon forget. Check out the fantastic photos from the night in The New York Times Scene City and great write-ups in New York Post Page Six, The Observer’s Best Parties of the Week, artnet, and Art Nerd New York. Crain’s New York goes behind the scenes of The Player’s historic comeback in this week’s issue. 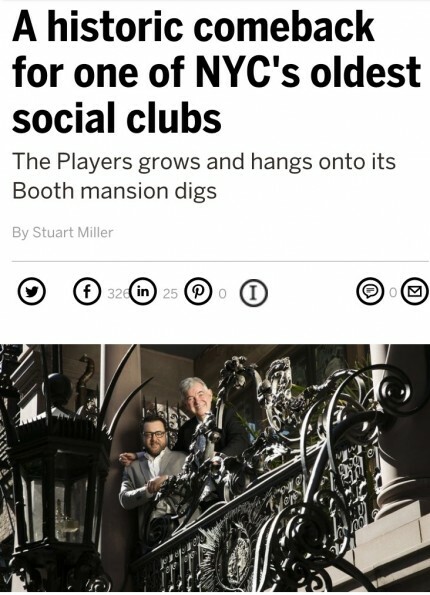 Check out the fantastic feature in the Wall Street Journal today on the rebirth of The Players, the historic private social club for actors and artists on Gramercy Park. The Players celebrated the 30th anniversary of the film “Clue” with an all-star tribute performance honoring Jonathan Lynn, the film’s director and screenwriter, on Sunday, December 13th. Released in 1985, Clue starred a who’s who of comedy greats including Tim Curry, Michael McKean, Madeline Kahn, Christopher Lloyd, Eileen Brennan, and Martin Mull, and went on to become a cult classic (Buzzfeed hails it as “one of the most beloved films of the 1980s”). 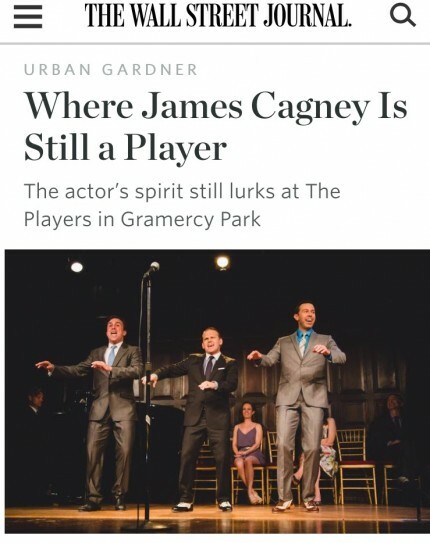 The one-night-only performance at The Players, starting Michael Urie and Zachary Levy, garnered coverage in outlets from People, New York Post, and Playbill to Stage Buddy, Broadway World, and Untapped Cities.